This weekend, there are many opportunities to explore music and history through performances by universities and theatre companies in the metro. 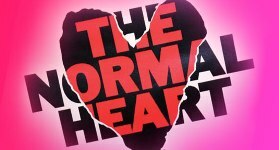 Oklahoma City’s Repertory Theatre takes on a sensitive issue with its next play “The Normal Heart.” This semi-autobiographical work written by Larry Kramer follows a gay activist named Ned Weeks as he confronts the personal and societal issues surrounding AIDS and HIV in New York City in the 1980s. It first premiered in 1985 and was brought to Broadway in 2011 for which it won 3 Tony awards. This Oklahoma City Repertory Theatre production is directed by Broadway’s René Moreno. Performances run from November 9th through the 18th at the Civic Center Music Hall in Oklahoma City. This weekend, the University of Central Oklahoma's Musical Theatre Division presents a musical version of a famous comedy. Based on the British film, “The Full Monty” follows six unemployed Buffalo steelworkers in their attempts to make a living for their families. The characters have been Americanized for the musical version that premiered on Broadway in 2000, and performances being Friday, November 9th at 7:30 p.m. in UCO’s Mitchell Hall Theatre in Edmond. The show is recommended for mature audiences for adult language and situations. The Reduxion Theatre Company in Oklahoma City continues its 5th season, themed “Revolution,” this weekend. Audiences have the unique opportunity to witness a musical version of Shakespeare’s historical play “Richard III” set in the Weimar Republic of Germany in the 1920s. Oklahoma native Rex Daugherty plays the title role. This production includes six musical numbers in the styling of a European cabaret show and heavy audience interaction. Performances are Thursdays, Fridays, and Saturdays from November 9th through the 25th with select Sunday matinees. Cheyenne artists Merlin Little Thunder and Michael Elizondo give lectures on their work at the opening for the Cheyenne art show “Uncommon Brothers” this Friday at 7:30 p.m. at the Jacobson House Native Art Center in Norman. The Mabee-Gerrer Museum of Art on the St. Gregory’s University campus in Shawnee supports the non-profit Saving Pets at Risk with its next exhibit “Tails of Cats and Dogs” through November 25th. The museum displays art about pets by Oklahoma artists and collects donations for SPAR. The University of Central Oklahoma College of Fine Arts and Design displays work by black and white photographer Heinz Hall in an exhibit titled “Observations” and screen printing work by UCO students in “Images in Time” in the Nigh University Center. The exhibits open with a reception November 13th from 4:00 to 6:00 p.m.